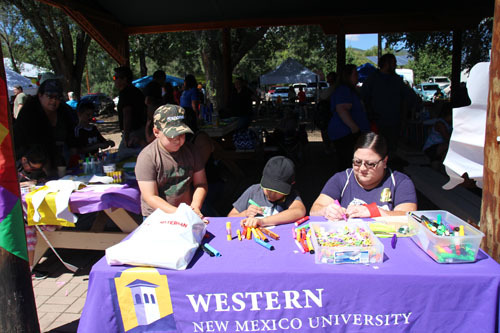 WNMU Nursing students Adriana Odogui and Mariangela Garcia at the front entrance booth. 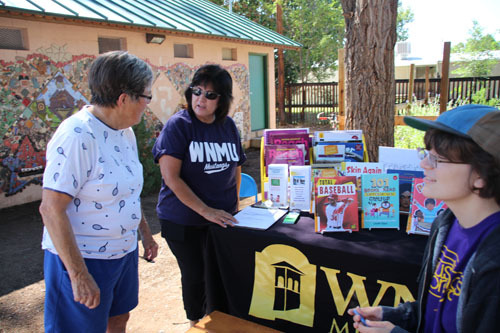 Savannah Miller, Zeamae Blood and Julianna Stites talk to DeAnna Mooney and Lynda-Aiman Smith at the Unitarian Universalist Fellowship booth. 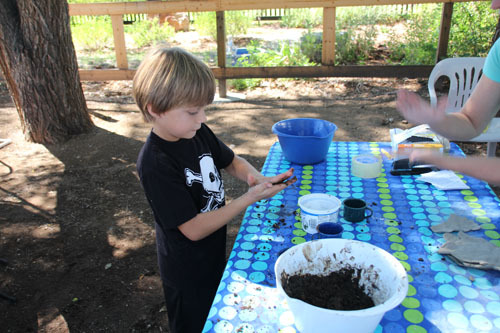 Jess and George Crotz work on planting seeds. Oliver Gilliam, 5, scores with a football. 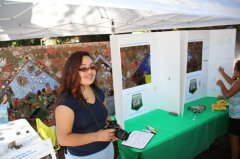 Cyndee Provencio at the Upper Gila Watershed Alliance booth. Tanya Ruiz at the Big Brothers Big Sisters booth. 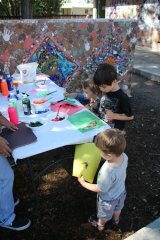 Jackson and Thomson Henninghan and Arlo Fitzgerald painting. 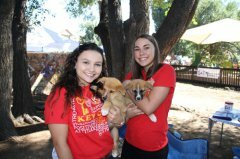 Kylene Killough and Kaweah Yarbrough hug puppies from the High Desert Humane Society. 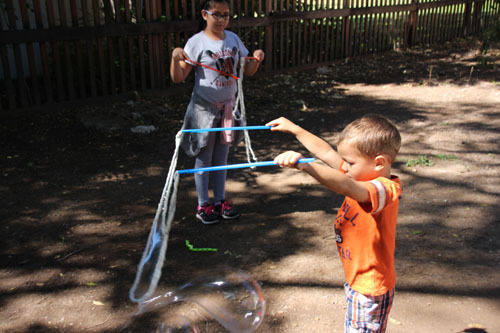 Aiden Tate tries his hand at making a big bubble. 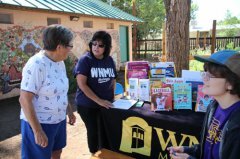 Caroline Baldwin of Literacy Link-Leamos chats with Barbara Flores and Hannah Gray of the WNMU Teachers' Learning Center. 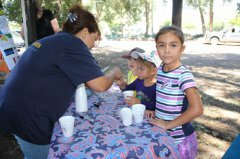 Diana Perea, Robyn Caruso and Bruno Aguirre at the Beginning Years table. 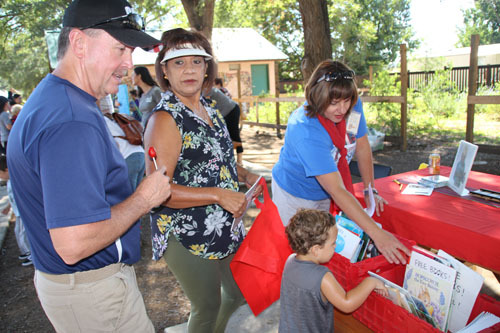 Mike, Irene and Izzy Rodriguez at the Imagination Library table as Nancy Stephens help Izzy find a book. 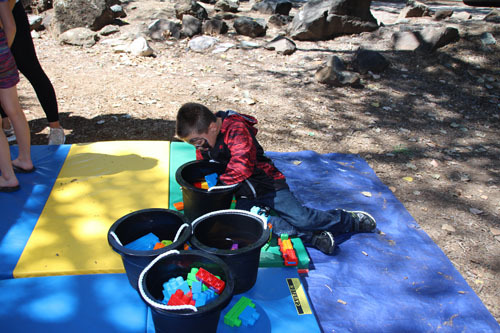 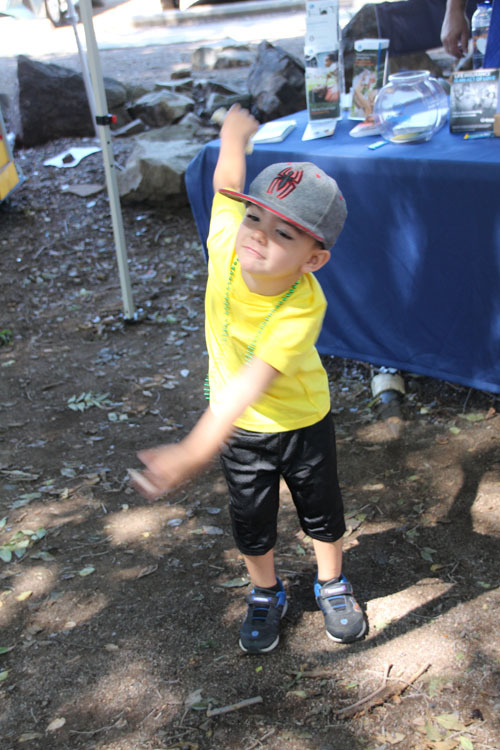 Sebastian Doyle creating a blessing seed ball at the Guadalupe Montessori table. 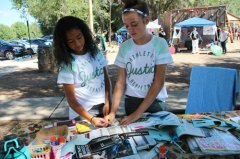 Tayli Castillo and Zoey Ping collaborate on a project. 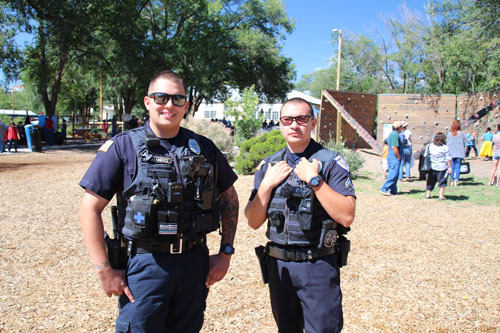 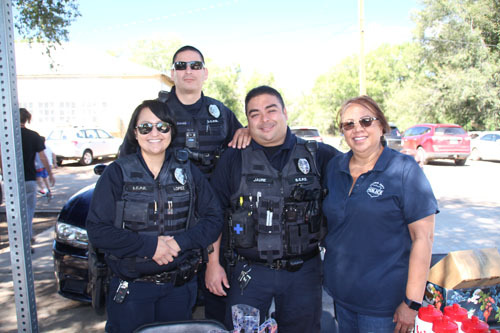 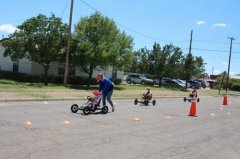 Silver City Police Department personnel Letitcia Lopez, Jeremy McDonald, Manny Jaure and supervisor Tonie Romero were there to talk to children. 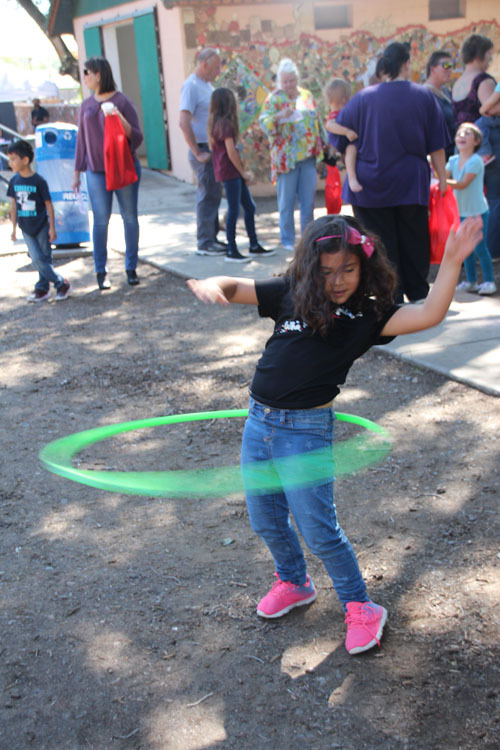 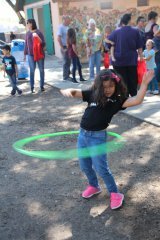 A girl shows off her hula-hoop prowess. Dancers from Melinda's Conservatory of Dance swirl their skirts. Other Silver City Police Department personnel helping out are Officer James Hernandez and Cpl. William Lara. Cambrie Wilmeth reaches as high as she can to try for a prize at the Stop Tobacco Sales to Minors table. 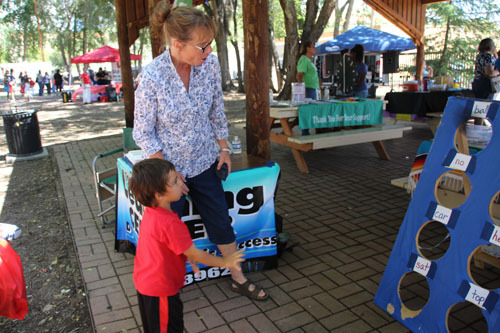 Joseph Hernandez waits to see what prize he will get. 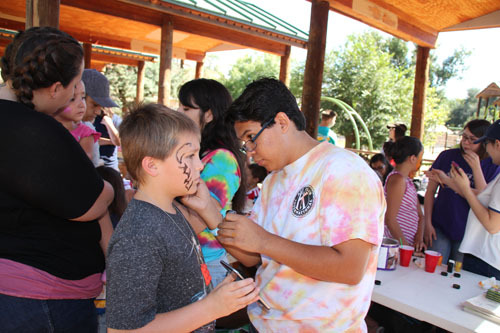 Braden Shellhorn has his face painted by Silver Key Club member Alfredo Madrid at the Kiwanis Key Club table, which has representatives from the Silver, Cobre and Cliff Key Clubs participating. 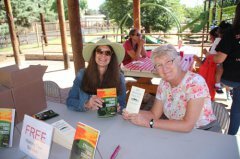 Laurel Johnson and Mary Ann Finn promote walking tours and the Stories of Downtown book for the Silver City MainStreet Project. It's a family activity, with Donovan, Nori and Sean McGraw creating big bubbles at the El Grito Headstart booth. 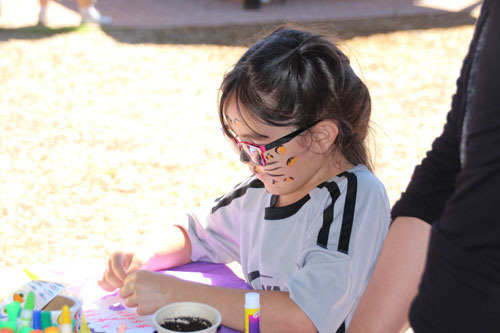 Aria Garcia carefully chooses which stickers to put on her artwork. Rosamagen and Miranda Madrid do a coloring activity. Dancers from Melinda's Conservatory of Dance do a chicken dance. 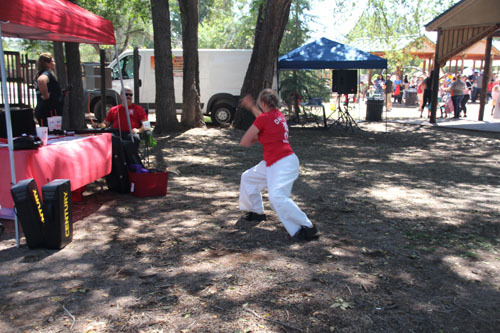 Jennifer Durkin reacts as Aidan Ponce throws the beanbag through a hole. 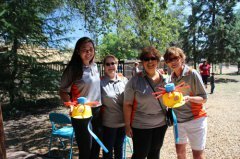 Kelli McGhiey, Geraldine Castillo, Priscilla Lucero and Terry Anderson wait with water-filled helmets for the next victim at the Partnership for Children booth. 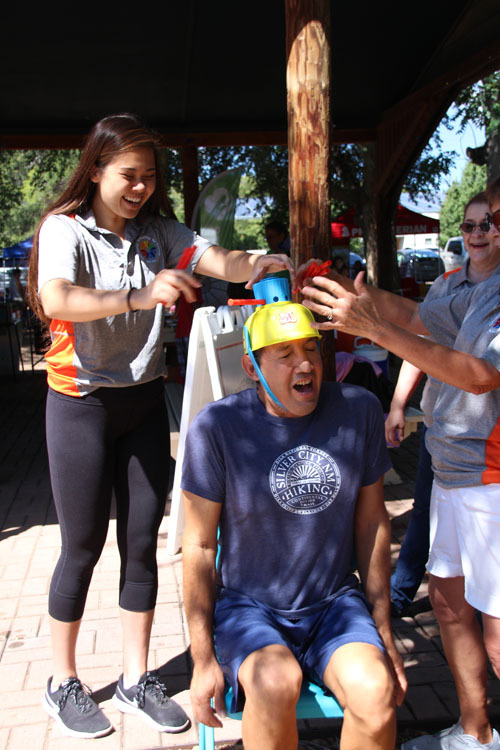 Raul Turrieta reacts to water pouring out of the hat onto his head and back at the Partnership for Children booth. Tamera Ortiz practices her karate moves in front of the Oni Ken Karate table. Justin Bollinger, Kayla Jacquez and Gina Gomez get help planting seeds at the Allstate Insurance table. 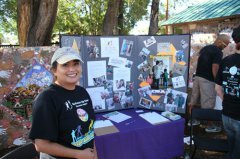 Mia Cordova talks to the people at the Presbyterian Hospital table. 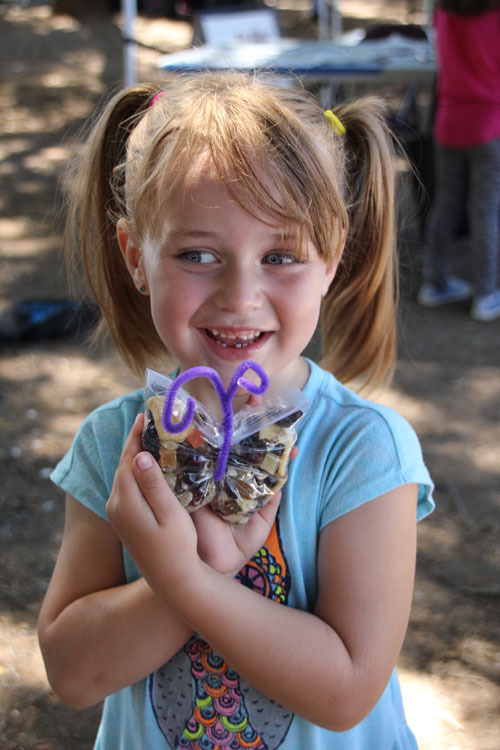 Teagan Epperson shows off her butterfly healthy snack from the El Refugio, Inc. table. 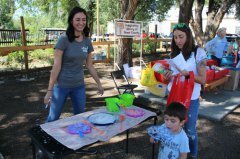 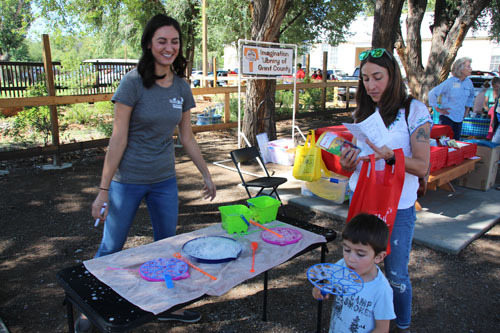 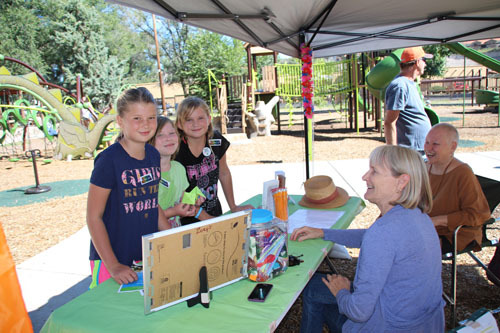 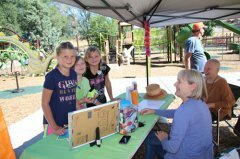 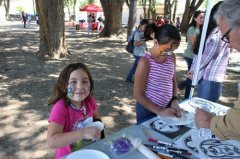 Rylee Reyes, 5 1/2, and Elena Betholani work on projects at the Silver City Museum booth. 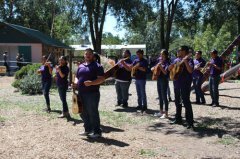 WNMU's Mariachi Plata played and sang for attendees. 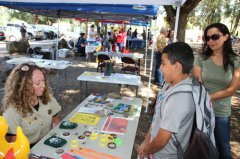 Jodi L. Mallozzi of the Gila National Forest talks to Jonathan Murillo about the forest. 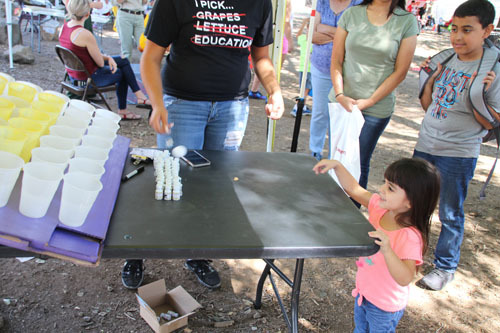 Sophia Hernandez, 2, at the MEChA booth attempted to bounce a ball into a cup. 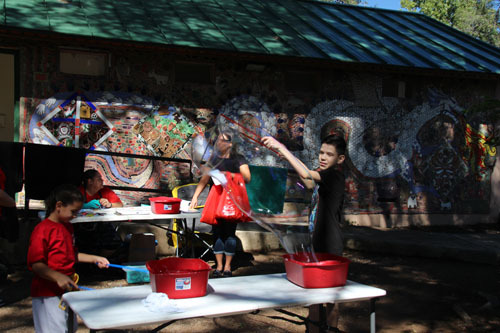 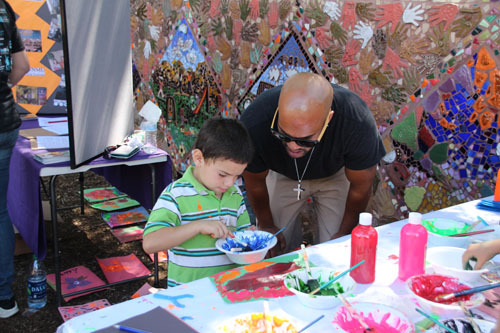 Aaron Davis of Big Brothers Big Sisters helps Anthony Aragon paint. 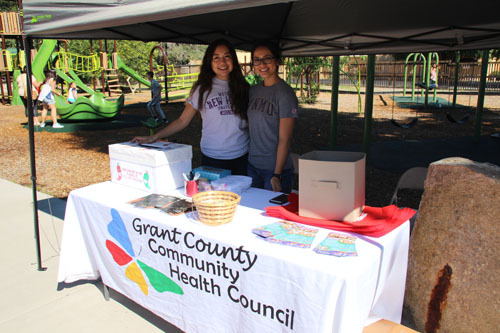 Wlagreen's, in conjunction with the Blue Cross Blue Shield Care Van, offered flu shots and tests. 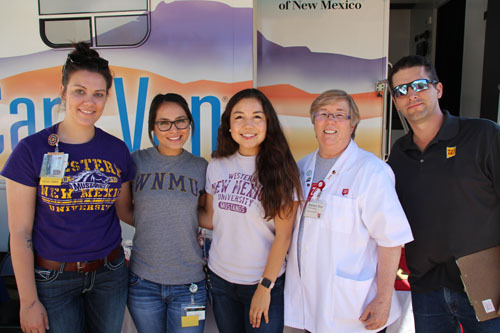 From left are WNMU Nursing students Celina Sircy, Mariangela Garcia, Adriana Odogui, and from Walgreens were Barbara Wood and Derek Ratcliff. 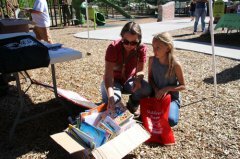 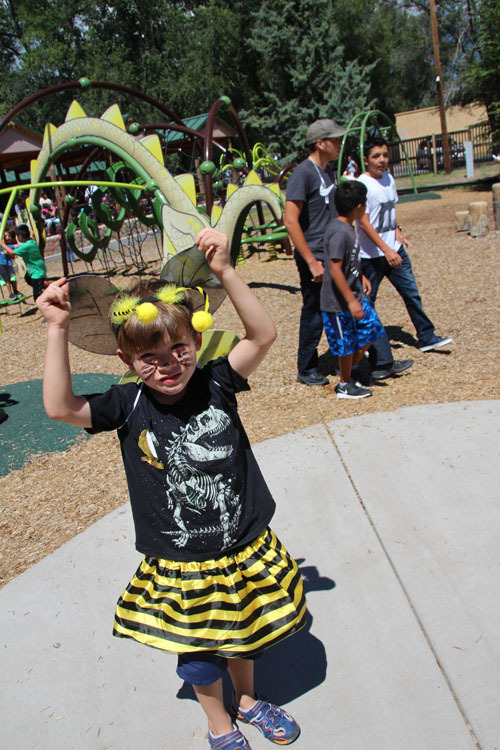 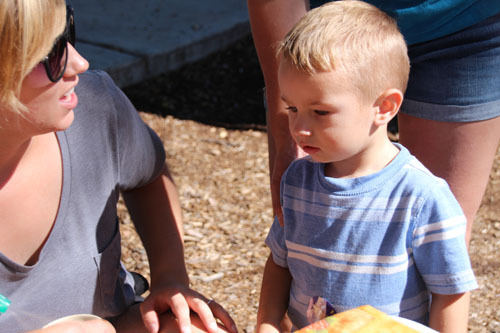 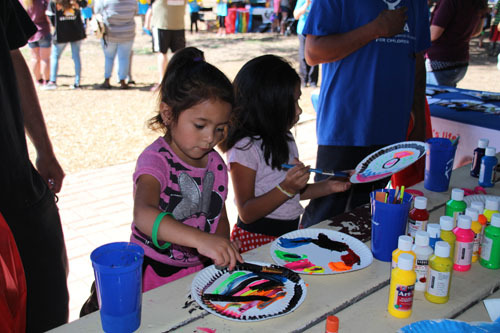 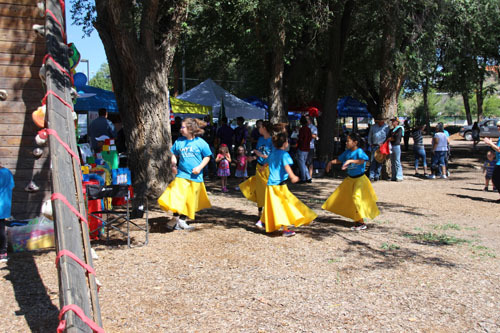 On a perfect morning for an outside event, the Red Hot Children's Fiesta brought out hundreds of children and parents. 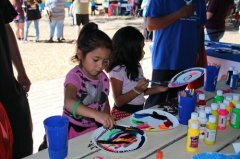 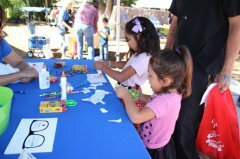 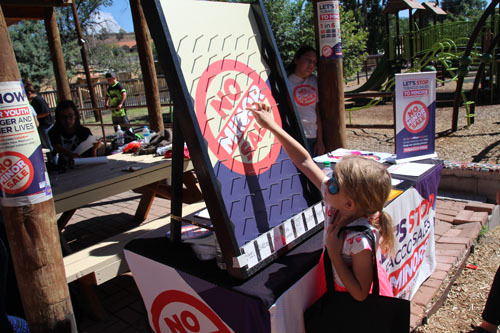 At least 39 official booths had activities for kids; Walgreen's provided free flu shots at the Blue Cross Blue Shield Care Van outside Penny Park; and entertainment included dancers from Melinda's Conservatory of Dance, Western New Mexico University's award-winning Mariachi Plata, and karate demonstrations by members of Oni Ken Karate. Cari Lemon, Grant County Community Health Council director, put together the event with the help of all the group partners. The Community Youth Builders, led by Gary Stailey, set up and took down all the booths. 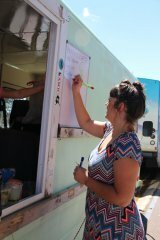 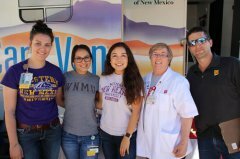 The Western New Mexico University nursing students helped out at many booths where needed. 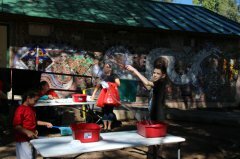 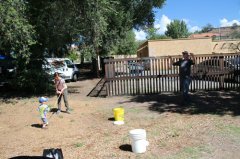 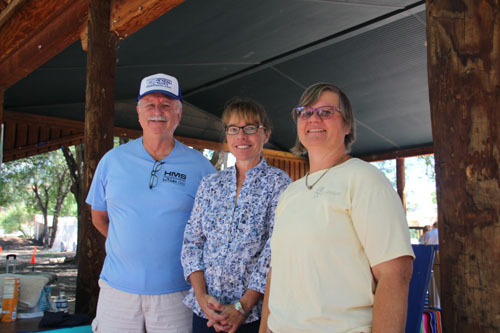 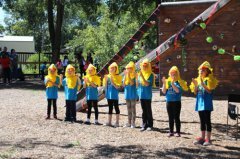 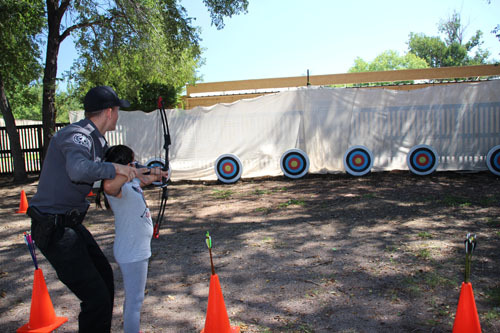 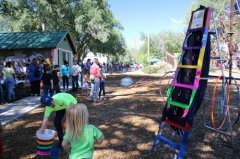 "We had new groups this year, including the Gila National Forest and New Mexico Game and Fish, which held an archery event," Lemon said. 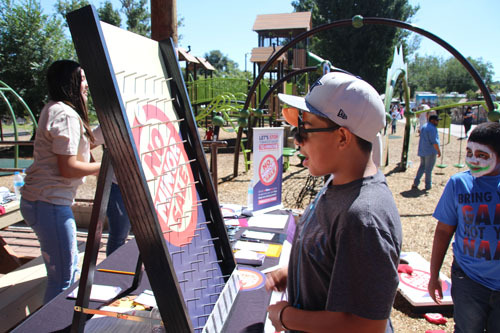 A Kid's Vote booth asked voters, who had to be younger than 18 years of age, to vote for their favorite lunch item. 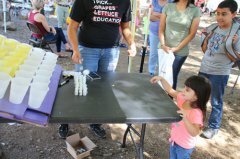 Burger won with 26 votes, burrito came in second with 19 votes and peanut butter-and-jelly sandwich came in third with 10 votes. 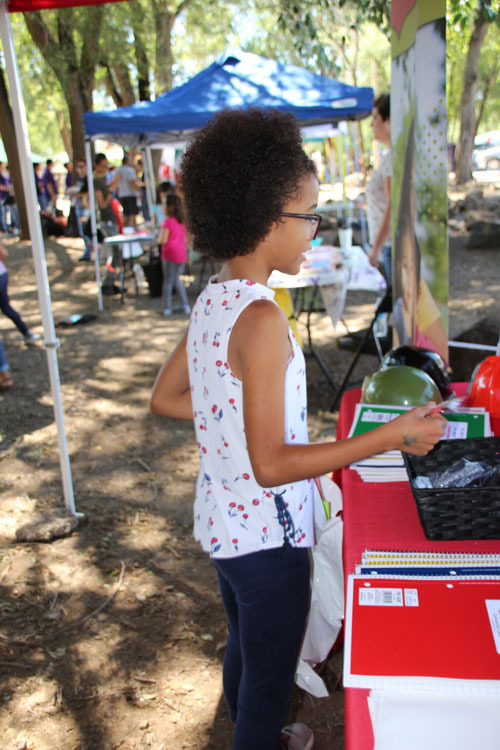 Adults could register to vote, and the children learned how to register and vote.